Michigan St Helen Mio areas, and everywhere in between! Need a friends/buddy to camp/ride with this up coming season. About myself: I'm semi retired, so I have plenty of time now to try and get away trail riding/camping, especially for up north trips, whenever possible. Happily married for 40 yrs, w/ 4 kids, and their all fortunately on there own! 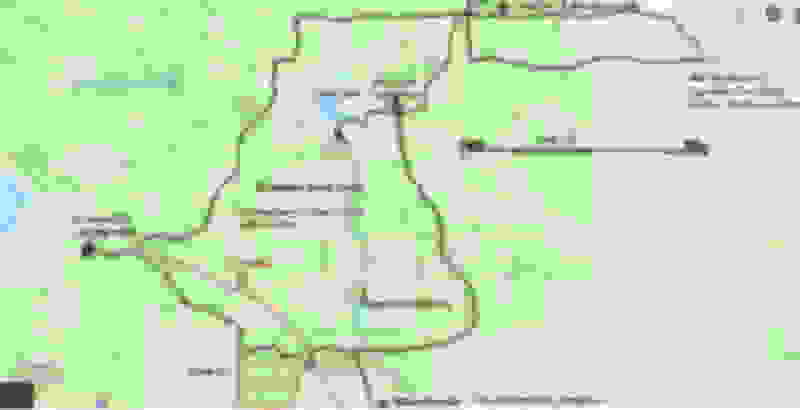 I live in Taylor and is close to Metro airport or SE MI. Where I ride/camp: During the warmer months we've been going to St Helen for the past 4 years, and before that Ambrose lk., Mack lk., area since 86. I stay at St Helen campground, for 2 days or more. I've been camping, trail riding up north with my kids and friends up there until this last year, where now there no longer able to go. We camped/rode there many times a year, 29 days in all, last season, from West Branch to Mio and all points in between. The reason I like the town up there, in and around St Helen is besides all the endless trails, Is their ATV dealership, terrific diners, new modern Shell gas station fully stocked, clean motel at Trails Inn, where we stay the night on colder days, well stocked hardware, best pizza place and greatest burgers on the planet, at the firehouse pub/lounge restaurant! All this on/near the corner of the campground and trail head. We can ride in town on the atv's anytime, and in all the many towns up there now! Our atv's: Started riding camping after buying our first ATV the TRX200SX, then over the years we've bought many others, upgrading each time to bigger ATV"s that better suited our needs, and riding styles. My son and I bought, last year in Feb. the same exact model Honda trx450r, He had to sell/give it away as a roller, after it blew a rod, leaving me to ride alone! I still have mine still in real good condition, considering the age 2004, well taken care of, always stored inside, and little use/abuse! I also have KQ750 just bought new, few months ago, and only has 170 miles, of the break in period, after last trip up north. Very anxious to get it back up north again! Camping: Also like to camp and cook meals on open fire, but only if others agree/enjoy camping this way. Just bought a large 8 man tent that's used for warmer trips, that is very roomy and much easier to get up and out of being 6.5' tall, compared to our old 5 man tent. We were talking about getting a camper trailer, and leaving it on the campsite (until the son sold his atv and won't be going back again for at least a year or two, while saving up for a house) which camp site only rents for only $400 a year, at St Helen Campground, since the days and nights can get mighty cold up there in a tent lol, where we would need some kind of heating source, when sleeping inside tent. Transportation: I have a van and trailer for hauling the quads. The only legal riding around here closest to me is at Bundy Hill ATV/ORV/camp/club during the winter months, which is only an hours drive, where I ride just for the day, then return home, couple times a year on average. Been going there for 4 years now. Pretty dangerous place though. My buddy broke his hip in 6 placed there, and is the reason he's not riding anymore. We just try to be as careful as possible when there, but still there's been way too many close mishaps over the years! Friends I've met over the years: I've met 4 other friends, buddies, using forums like this, that I still stay in contact with, but for different reasons, their not able to make a trip anymore or not this season. If there's something you would like more information of, let me know, and hope we might have some of the same things in common, and possibly get a chance to get in a few trips up north together! Hi Steve. I'm Frank. You wouldn't want to camp with me. I snore so bad that my friends cleared out a spot for me to set up my tent about 25 yards away from their cabin. On the other side of the generator. Seriously. A couple of years ago they got electricity put in, and without the generator to help drown me out they closed the windows and got a portable air conditioner. No lie, I'm that bad. Sleep apnea runs in my family. Even my mom who's so skinny her doctor is mad at her for not eating enough has it. So if anyone says I wouldn't have apnea if I lost weight, WRONG! It's going to kill me in my sleep if nothing else does before that. I'm very familiar with your condition, both my sons have it so bad, they keep me up most of the night when camping, and there big boys too, 280++ and cant sleep well without their apnea machines bolted to their faces, as soon as their heads hit the pillow at home! Unfortunately though, not for the nights up north camping rustic, when I've actually had to get up from a dead sleep, and leave the tent, and bunk in my van, or on warmer nights, way far away, trying to sleep in my hammock, out under the stars/rain/dew/mosquitoes/bears, what ever! lol and I always pack it just for that reason! lol I figure a few restless nights is still better than staying at home, missing out, whenever I can find someone to go with....I can put up with a TON of most anything, misery/agony/pain/cold/broken bones/blood/ufo's/.big foots feet, in order to RIDE!! And if anyone cares to camp ride this season, let me hear from you, and lets ride....already! I can't even wear my CPAP. One of my brothers takes a car or boat battery to power his. Time for your boys to get some spare batteries. Inverters too if they need them. If anyone cares to camp ride this season, don't ride alone, let me hear from you, and lets ride! Getting ready for new season ahead! Get in touch soon. AND LETS RIDE!! Dont get in to big a hurry....the ground hog says a lot more winter ahead! Keep that snowblade ready...kinda tough riding trails with a plow blade on the front! Thinking ahead to line up a great season for trail trips, 2 or more days would be terrific!! Get back and lets discuss a trip! 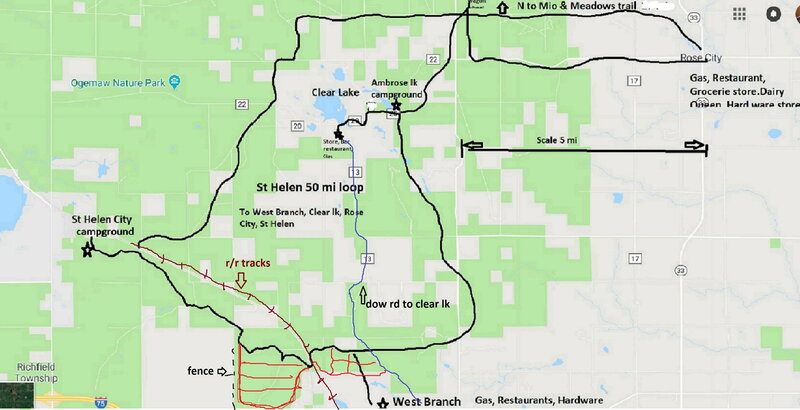 Here's a couple of maps of some of our riding area around St Helen, Mi. 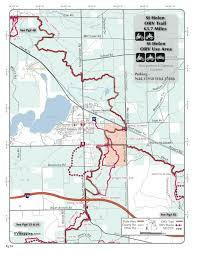 This only covers 1/4 of the trail areas we ride, and we're familiar with many more trails in the surrounding areas. If interested let me know, and I'll be glad to answer any questions you might have, and hopefully plan a trip this coming season.